Learn to paint more than 250 things! Discover how easy it is to paint anything-animals, people, nature, objects, and more-with simple steps and easy lessons! Painting School provides the first steps to a lifelong love of art. Your child will learn how to paint anything they see in the world around them by following a few simple prompts. This comprehensive guide reveals how easy it is to paint, with simple step-by-step projects, colorful art, and clear instructions. Painting School begins with the basics, such as the tools and materials needed to get started, and some simple rules on how to approach painting any subject. Then class begins-a variety of everyday subjects are covered, from animals and people to nature and simple everyday objects. Featuring more than 250 subjects, Painting School teaches you how to paint each one with clear, easy-to-follow steps. 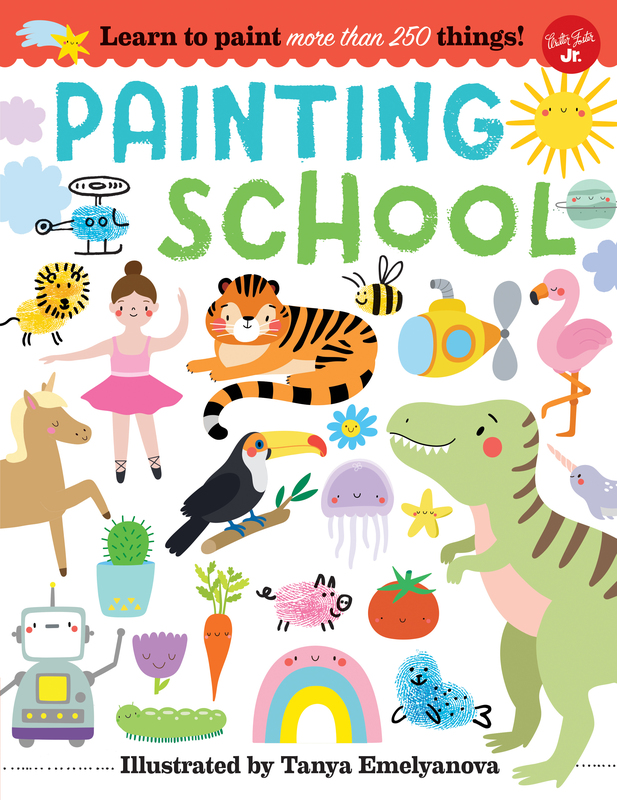 So grab a brush and let's paint - school is in session! Tanya Emelyanova was born in Siberia. After graduating with a degree in advertising, she began working in branding and advertising for a few years before embarking on an illustration and pattern design career, as drawing and creating have always been her true passion. She combines digital and analog materials in her work to create cute and fun illustrations. Tanya currently lives in St. Petersburg with her husband and big gray cat.